In this day and age, designing an online slot that is not compatible with the latest mobile technologies has become a major faux-pas. It is not uncommon for the developers to launch two versions of the slot or simply release a slot that is mobile-technology optimized or even specifically designed for mobile devices. Average smartphone user spends 3 to 4 hours a day on their phone, using it for both business and entertaining purposes; they want to be able to access the online casino and launch the game anytime and anywhere – not making it possible means dismissing a huge and constantly growing market and eventually, fading away and moving aside to make place for the more adaptable competitors. The future seems to already be here and not adapting or in some cases, not being one step ahead, capable of predicting the modern user’s needs, might mean distinction for a software developer today. There will literally be no limitations to what you can access and launch on your device. Favorite games are already just a few clicks away and literally, every location can be your own, private casino. 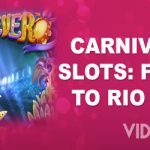 The industry, of course, went one step further in adjusting to the modern casino user – not only mobile slots are optimized for touch screens but live dealer casinos as well. Interactive, live stream card and table games, as well as any latest online slot release, can be played from smartphones (without any downloads and additional requirements) from the comfort of your own home or while you are waiting in a line to get your coffee on your way to work. Accessibility is not the only benefit of playing mobile slots on your phone. Downloading mobile casino app or launching the game on your phone can bring extra perks to online casino visitors – from free spins and cash-backs to deposit matches. The best examples would be Leo Vegas mobile casino, that has over 350 mobile slots and generous welcome bonus offer which includes 200% deposit match on all amounts up to £1,600 and 120 free spins. The additional spins apply to the most popular slot releases – Starburst, Gonzo’s Quest and even progressive jackpot slots (e.g Mega Fortune Dreams) that can make you into an instant millionaire. Usually, simply opening the account and submitting your first deposit is sufficient to trigger the promotional bonus reserved for the first time visitors of the mobile casinos, however, in some cases, special codes are created and distributed to the casino players who launch the games on their Android, Windows, Blackberry and iOS mobile devices. As the market expanded, websites specialized for mobile gaming flourished and the latest mobile casinos, bonuses, slots and even tournaments are being featured and reviewed. One can easily keep up to date with the highest rated casinos, users’ personal experiences and recommendations and even choose the games according to the specifications of their device, finding the mobile slot created for either iPhones or Android. Choosing mobile device as your gaming platform can significantly increase the level of fun and excitement, thanks to its social connectivity aspect. Players across the world can interact in real time while playing their favorite mobile slots and even take place in Mobile Slot Tournaments, like the one organized by Mr Green Casino. The participants of this tournament can win substantial cash amounts or be awarded free spins by climbing up the Reel Thrill Tournament leader, with a new challenge every 30 minutes. Entering mobile slots tournaments is usually free of charge and the list of mobile casinos that organize them is easy to find. There are no special requirements except for opening an account with the relevant casino – another thing that you can do on the spot, thanks to your phone and tablet. If you have accustomed to playing online slots on your desktop, you are bound to be skeptical about the visual and audio experience you will get once you switch to playing on your mobile device. This is where you are wrong. Design and graphics on mobile slot releases are so advanced, that no aspect is compromised or sacrificed to the comfort and practicability of playing slots on your phone. The flexibility and the speed you gain when playing on your tablets and phones is something you cannot hope to achieve on your PC computers and all the functionality and in-game features of the games are fully retained. Regardless of the device you own, the compatibility of the mobile slot with your device is pretty much guaranteed, as all the games nowadays are Android, Windows and iOS optimized. Another thing that you get to choose as a mobile device user is a mobile slot created to suit your own device OS. While that does not mean that you will not be able to use Android device to launch games designed for iPhones, it does imply that the game will perform best on a specific device. Most of the games are versatile and have the same functionality on any platform, but in some cases, you get to select the game according to the specific make and model of your phone or tablet. Here too, the websites are packed with lists of best Android or iPhone slots, filtered by features, functionality, themes and other relevant criteria. A whole decade after the first Android and iPhone have been introduced, the golden era of mobile casinos and slots is only just beginning and the full potential of the place of online gambling in the context of mobile technologies is yet to be discovered.